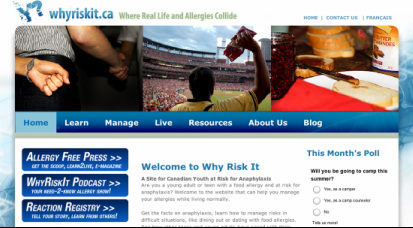 Our informative and helpful website that features stories, tips and research about allergies aimed at this age group. Connect with others who have allergies to learn and share experiences and tips. Read stories, ramblings and helpful tips from members of our Youth Advisory Panel on their Allergy Free Press blog. Our youth panel is bursting with ideas of how to raise food allergy awareness and help contribute their stories and experiences to educating others. We are always looking for new members who are interested in becoming a volunteer for a worthy cause.